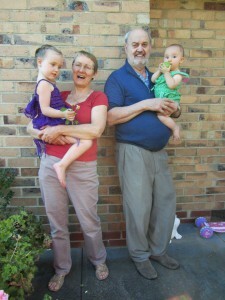 A political refugee, Peter Strich came to Australia from Czechoslovakia in 1969. Peter tried several different jobs before his own collecting interests led him to part-time coin and stamp dealing. At first Peter traded at markets but as his stock and clientele expanded he decided to open a shop. In 1979 Peter opened his first store Intersurf Stamps and Coins at Surfers Paradise. Intersurf also traded at Ipswich, then on the advice of Peter’s mentor the very astute Max Stern, Peter and his family made an even bigger and bolder move down south. From 1989 to 2014 Peter traded as Peter Strich Stamps and Coins in the bustling Metropolis of Melbourne’s CBD, it was here that Peter’s loving and supportive wife Seija and occasionally their unusually gifted and good looking children joined him in the ‘Shop’ as it was affectionately known. This central location proved to be ideal for the shop. “Philatelic and numismatic hobbyists visited our Melbourne store from all over the world, ” Peter says. “There were not many businesses like ours in the city, so it added a little spice. Being second hand traders we also helped the money go round by buying goods over the counter”. For the families efforts the shop received multiple Commendations under the Lord Mayor’s Small Business Proprietor award for the shops significant contribution to the prosperity and vitality of Melbourne, as well as much personal satisfaction in watching the business flourish. “This was a golden age for our business, I loved it and will always remember it fondly”, says Peter. In 2014 the combined factors of aging family members and outside forces led the family to the decision that it was time to move back to Queensland and say farewell to the busy heady days of a thriving shopfront. Peter Strich Stamps and Coins now operates as an online business and once again frequents markets and shows around Brisbane, leaving more time for family commitments.